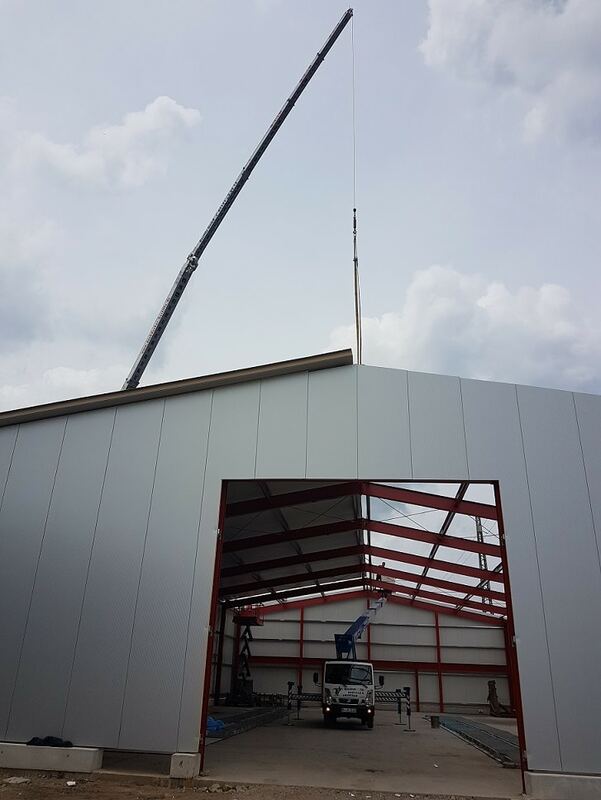 The range of services offered by the Bartilla roofing company includes all work relating to pitched and flat roofs as well as a container service. Founded in 1961, the company is now in its third generation and is managed by the brothers Holger and Maik Bartilla. 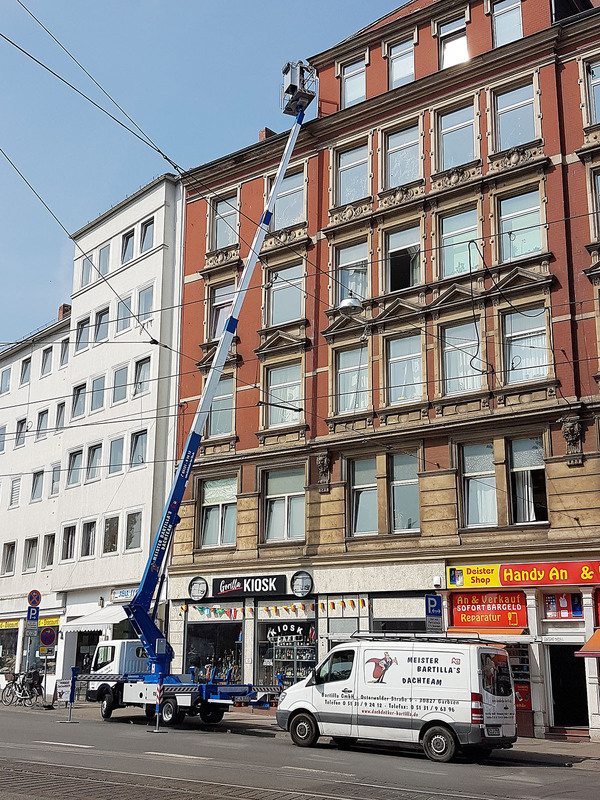 In 2014, the two master roofers decided to purchase a K23-33 TSR City, which, thanks to its compact dimensions, is also ideally suited for narrow and low passageways. 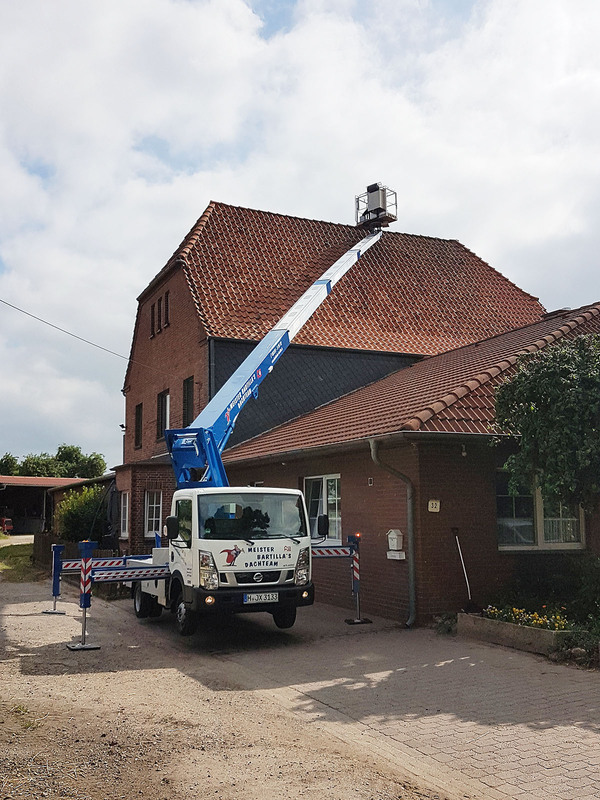 In order to be able to carry out repair work quickly and at short notice, the traditional company from Garbsen also purchased an elevating work platform in 2018. With the Theo, even working areas that are difficult to access and up to 25 m high can be easily reached. 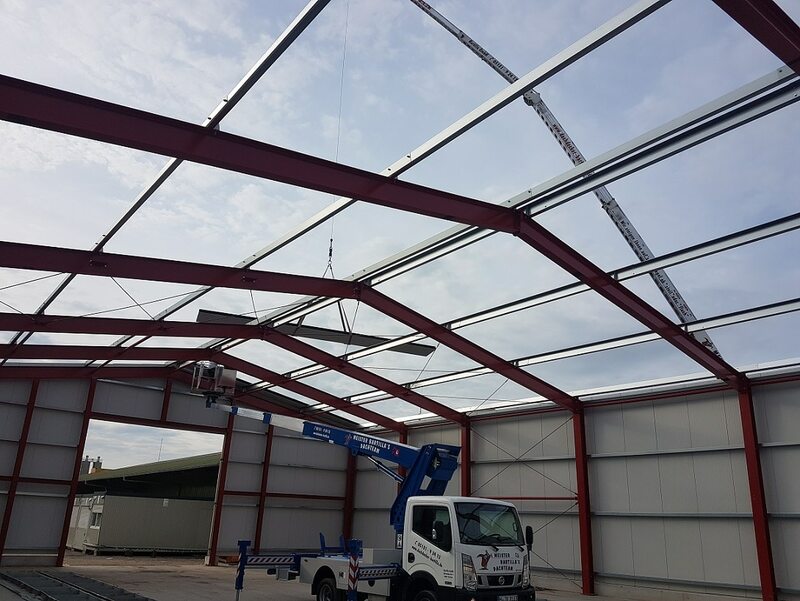 This means that roof and facade work can even be carried out on tall buildings without scaffolding or ladders. 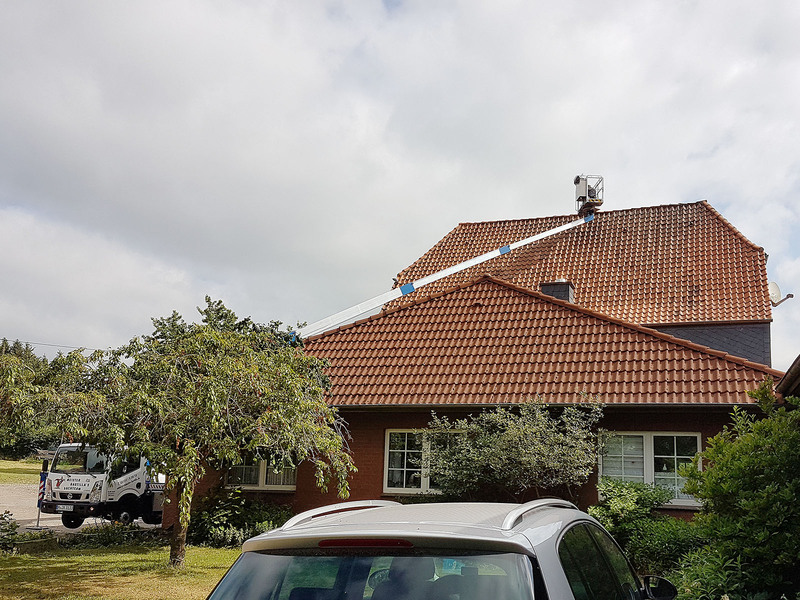 With the elevating work platform, an employee can also leave on his own to repair or clean gutters or to repair damaged roof coverings. It is quickly assembled and ready for use. This makes our company more flexible and orders can be processed more economically.